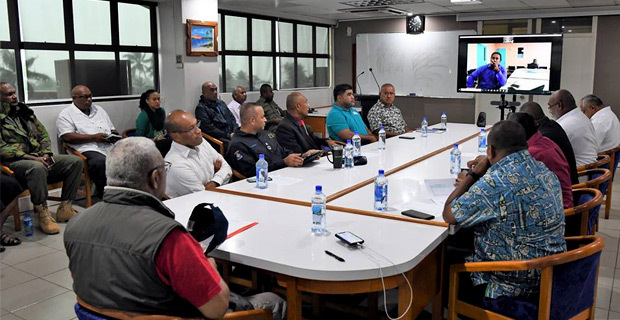 Prime Minister Voreqe Bainimarama was once again briefed by the National Disaster Management Office on Tropical Cyclone Mona. Although TC Mona has been downgraded to a category 1 system, the NDMO Office will continue its 24 hour emergency operations. Bainimarama was also briefed by the Health Minister that medical officials that are constantly visiting the evacuation centers to monitor the situation. A team from Ministry of Waterways is also on standby to assist those living on flood affected areas.